The tradition of EWG Live Sketch Nights continues. 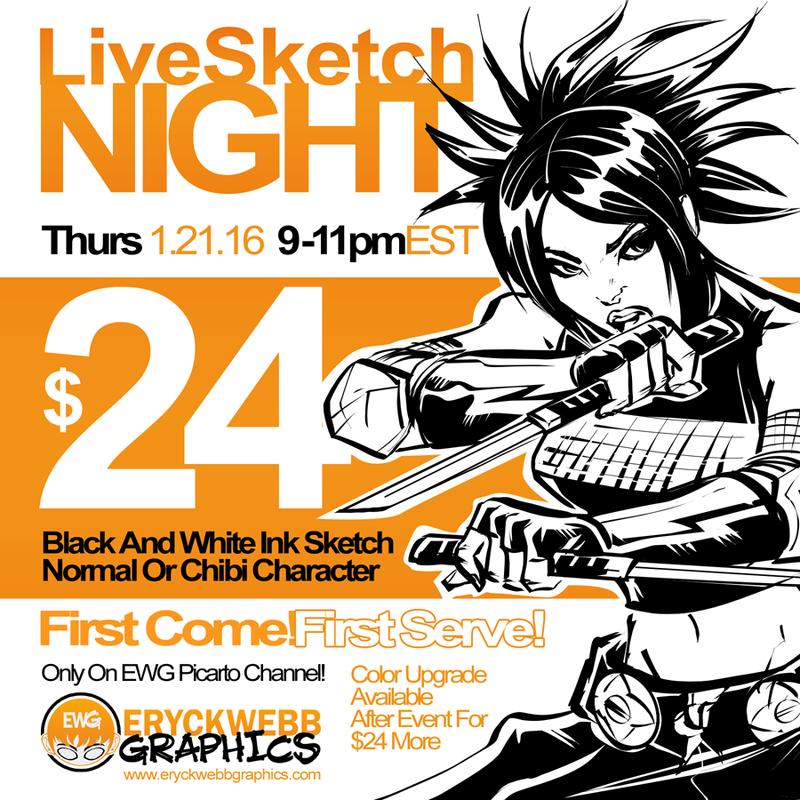 Come out tonight slap down $24 get some awesome 11x17 300dpi black and white comic-style character art the same evening! Upgrades available to add color for $24 more but will be done after the event by the weekend. Skip the conventions and the lines, come to EWG's 'virtual table' and get some original art! Read more about EWG Live Sketch Nights here! See you tonight! Will start setting up 830, taking orders 9-11! Paypal only! No overtly sexual, violent or offensive requests will be accepted.